“I like this place because everything they have can kill you,” Edith Pearlman says, perusing the menu of a Brookline pub on a recent gray afternoon. The remark proves fitting introduction to both the septuagenarian author and her work: at once mischievous and mettlesome, with a twist near the end. Despite publishing over 250 short stories and four prize-winning collections over the past 40 years, Pearlman has long eluded the attention of all but a modest, ardent cadre of readers. That changed when her fourth book, “Binocular Vision,” was lauded last year on the cover of The New York Times Book Review. It went on to garner more splendid reviews along with a bouquet of awards (National Book Critics Circle, PEN/Malamud, and Edward Lewis Wallant), prestigious nominations (National Book Award, Story Prize, and Los Angeles Times Book Prize) and, perhaps most gratifying, a wider audience. The typical Pearlman story unfolds in a straightforward manner only to reveal — perhaps not until it’s over — a lambent lining. She treats her subjects seriously without ever being self-serious. Her compassion for her characters is leavened with clear-eyed pragmatism. Even the gravest of her stories are marbled with wit. And their range of subject (“I love to write about what isn’t me.”) suggests an unfettered intelligence and capacious appetite. Speaking of which: “I’ll try the lamb burger,” Pearlman tells the waitress. It comes with red onion jam and handcut fries. Despite her professors’ encouragement, she didn’t envision making a living as a writer. Yet after graduation, she went on a TV quiz show and won “seven or eight hundred dollars” — enough to subsidize six blissful months of the writing life. 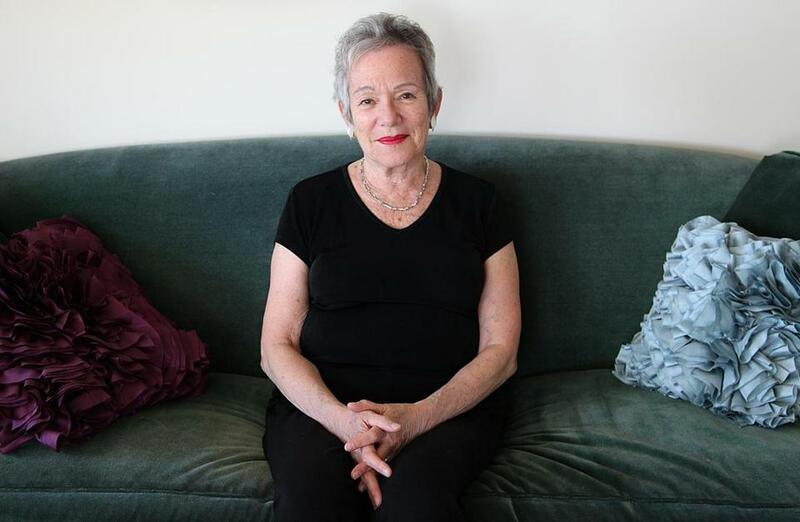 Pearlman recalls lying on the grass in front of her Central Square apartment, reading books in the sunshine and penning her first published stories, for the Cambridge Chronicle. One was about a racehorse whose diet consisted solely of artichokes. Pearlman’s fee was $10. Heidi Pitlor, series editor of Best American Short Stories, recalls, “Every year we’d say, ‘Check out Edith!’ ” Yet somehow, “everyone knew about her — but no one knew about her.” In the introduction to “Binocular Vision,” novelist Ann Patchett writes of the “secret-handshake status” Pearlman aficionados have long shared. Small presses kept championing her work, while the literary establishment kept overlooking it. Until now. Emily Smith, executive director of Lookout Books, the fledgling press that made “Binocular Vision” its launch title, says having a shoestring budget compelled creative marketing. “If we loved a book,” she says, “we would find a way to sell it.” Yet as much as the publishers believed in the book, no one was quite prepared for its breakout success. Ben George, Lookout’s editorial director, who first approached Pearlman about this collection, says when the National Book Award finalists were announced, he fell out of his chair. “Literally. Onto the floor,’’ says George.